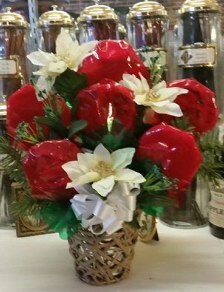 Call 816-405-7704 to create your special gift. 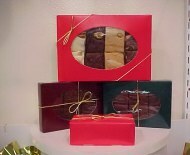 We carry a wonderful selection of gourmet food items, coffees, teas, fudge and pastas. Discounts on multiple purchases of 10 or more.. 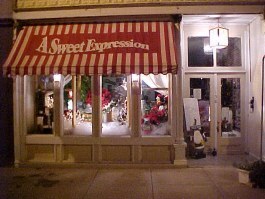 Contact us for your Holiday Needs. 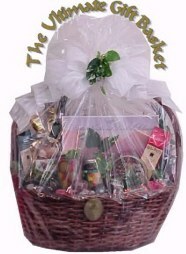 This well packed gift basket includes a pair of wine glasses, sparkling cider, wine and cheese crackers and Dr. Pete's praline mustard glaze. A fabulous gift to celebrate life. 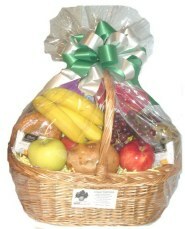 includes salmon, gourmet coffees, tea, olives, crackers, chocolates, dip mixes, and more. Makes a wonderful office gift. 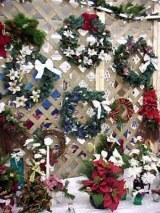 Wired with lights our wreaths bid your guests welcome. Available in different colors and themes. They can be customize for you. 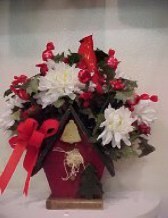 Centerpieces and arrangements are also available. Big Steer Nutcracker Snack Mix is accompanied by delicious Fireside gourmet coffee and a winning ornament. 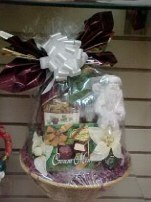 With a nut mix, chocolate mints, gourmet coffee, a quaint holiday statue and more, this is a delightful gift basket. $26.